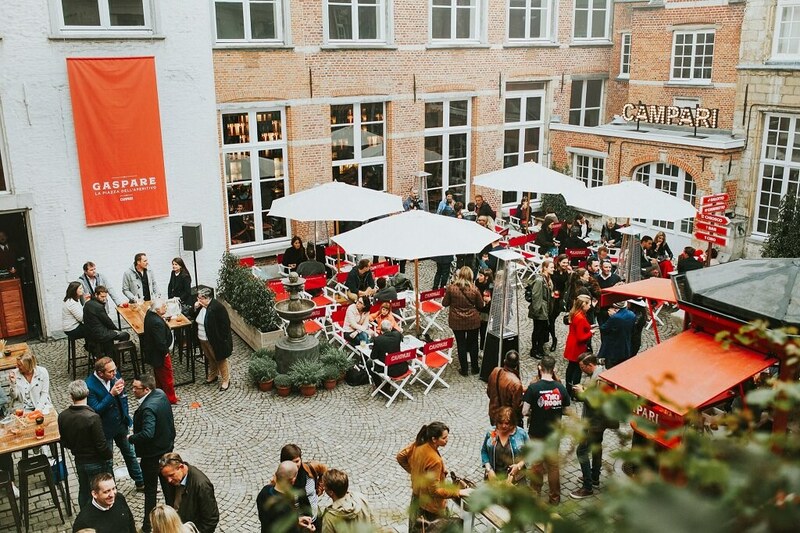 In the former home of painter Jacob Jordaens, you can find the pop-up bar of Campari. You can expect to see artworks from cocktails, of course based on Campari! In collaboration with VUB professor Malaika Brengman, the influence of smells, colors and music was extensively studied for this pop-up. Depending on which cocktail you order, you can drink it at a certain location to stimulate all the senses. For example, the Negroni cocktail can be drunk in the jazzy atmosphere of the lounge area, while the fresh taste of a Campari tonic fits better with the piazza with its authentic Italian kiosk.